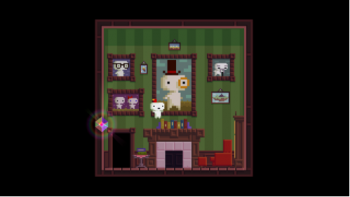 Fez creator Phil Fish says Microsoft's turnaround on the Xbox One did nothing to change its "anti-indie policies." Very little is known about Fez 2 at this point beyond the fact that it exists, but one thing we do know is that we won't be playing it on a Microsoft console. Fish was blunt when asked by Polygon which platforms he's considering for the game, saying simply, "Not Xbox," a position driven by his experiences with the original Fez on Xbox Live Arcade. A patch released for that game last year turned out to have a save-corrupting bug and Microsoft demanded "tens of thousands of dollars" to test and re-certify a follow-up patch, which was ultimately never released. Microsoft's decision earlier this week to change gears on the Xbox One was met with widespread applause, but Fish didn't seem too impressed. "I don't think it changes much for me. They didn't change anything about their anti-indie policies," he said. The PlayStation 4 is a different matter, however, as Fish said Sony "seems to be doing everything right" with its upcoming console. "With Microsoft they've made it painfully clear they don't want my ilk on their platform. I can't even self-publish there. Whereas on PS4, I can," he said. "It's that simple."